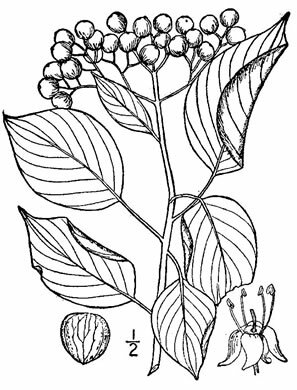 Bark dark reddish-brown, smooth at first, becoming furrowed, slightly scaly, per Native Trees of the Southeast, An Identification Guide. 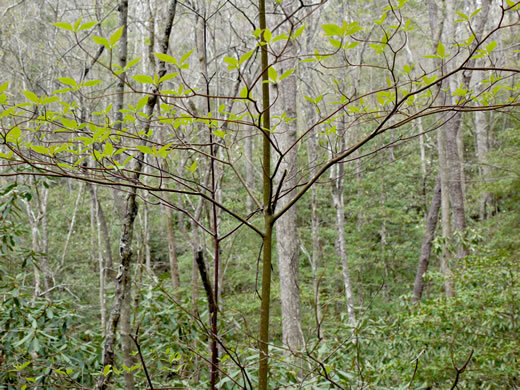 A small tree with distinctive horizontal branching, per Native Trees of the Southeast, An Identification Guide. 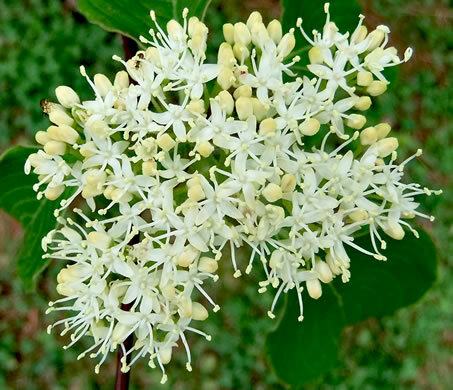 Flowers ~ 1/4" wide, in flat-topped showy clusters at end of leafy twigs, per Native Trees of the Southeast, An Identification Guide. 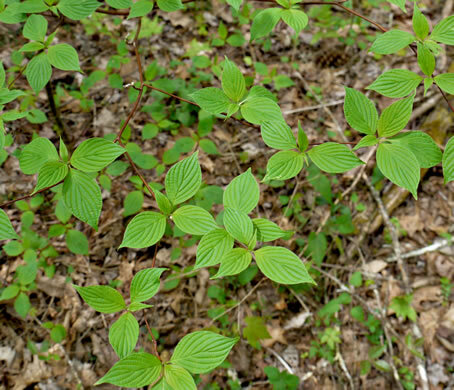 Leaves alternate, clustered at ends of twigs, per Native Trees of the Southeast, An Identification Guide. 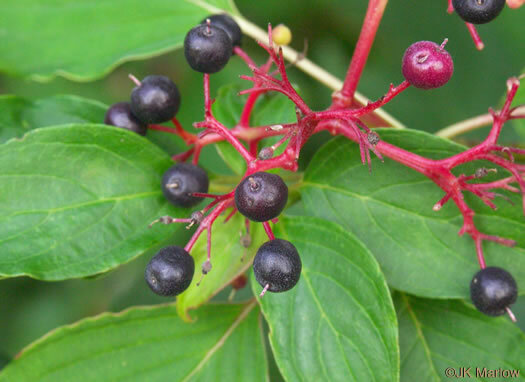 Fruit a small blue-black drupe borne in red-stemmed terminal clusters, per Woody Plants of the Blue Ridge. 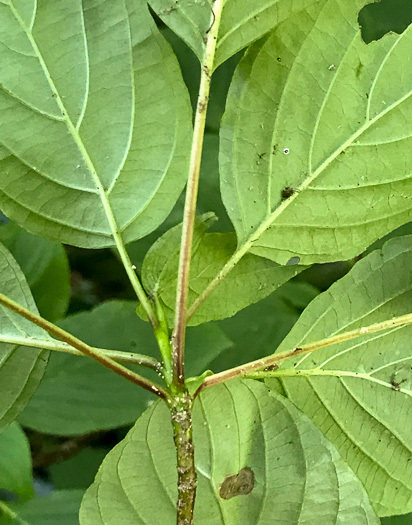 Leaf venation is arcuate, with main veins curving to follow blade margin, per Woody Plants of the Blue Ridge. 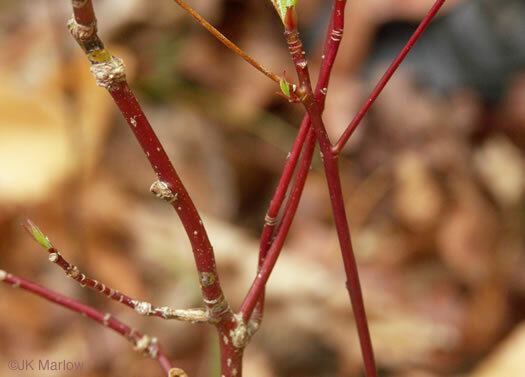 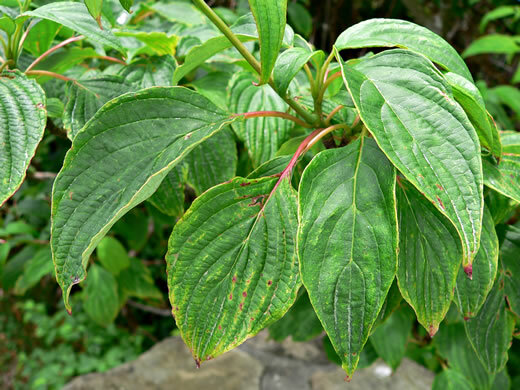 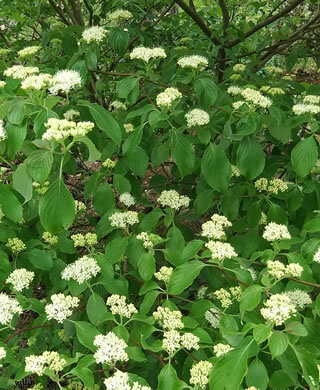 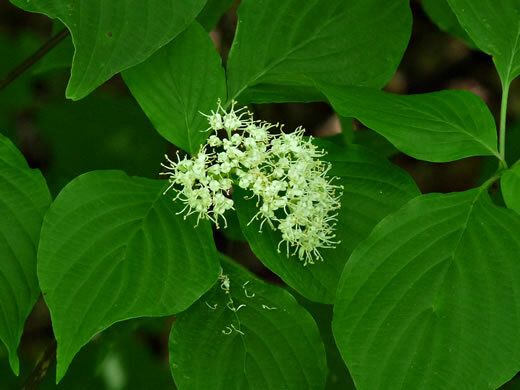 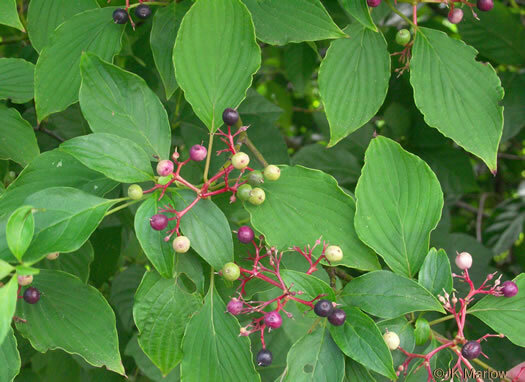 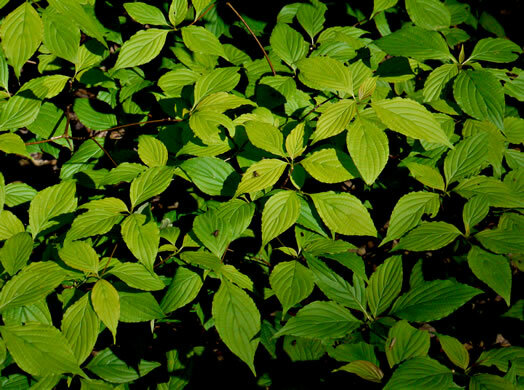 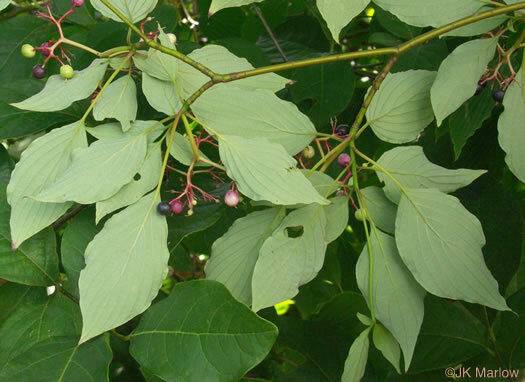 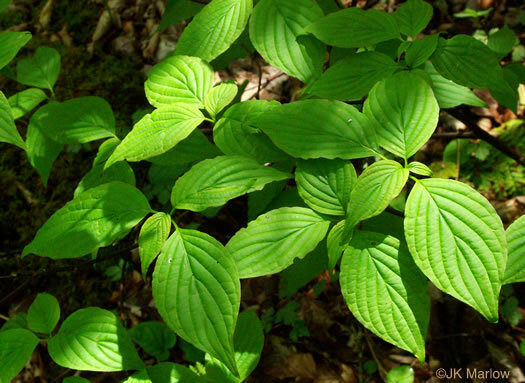 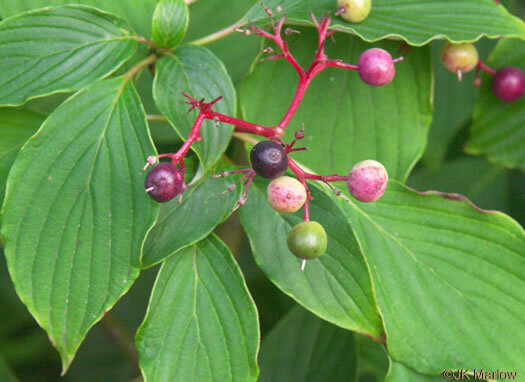 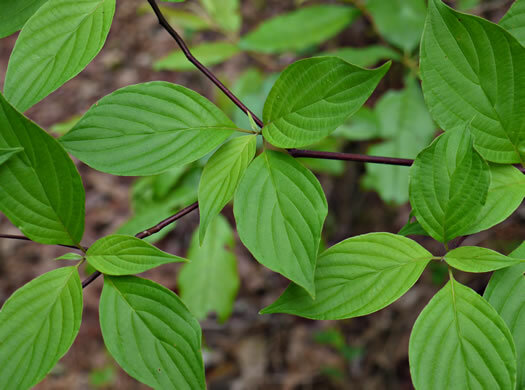 Leaves are pale beneath and have long petioles, per Woody Plants of the Blue Ridge. 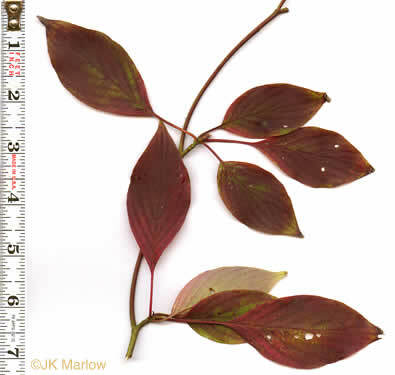 Petioles to 2.5" long [alternate leaf arrangement easier to see underneath], per Native Trees of the Southeast, An Identification Guide.